The insatiable global demand for data and computing resources is driving an ever-accelerating proliferation of cloud data center infrastructure. To keep pace with this demand, it’s estimated that cloud service providers daily deploy enough new server and networking capacity to onboard a Fortune 500 enterprise. New data center build outs continue unabated, with facility footprints so large that they’re commonly measured in football fields. This aggressive build out activity will augment existing data center infrastructure that’s already massive in scale. This massive capacity gives customers from Netflix to NASA the on-demand computing power and elasticity they need to accommodate rapidly fluctuating workloads. Additional computing resources are always available to them, and can be provisioned on the fly to meet peaks in demand. Cloud service platforms therefore enable far greater agility than customers could achieve themselves with on-premises IT, at considerably lower costs. 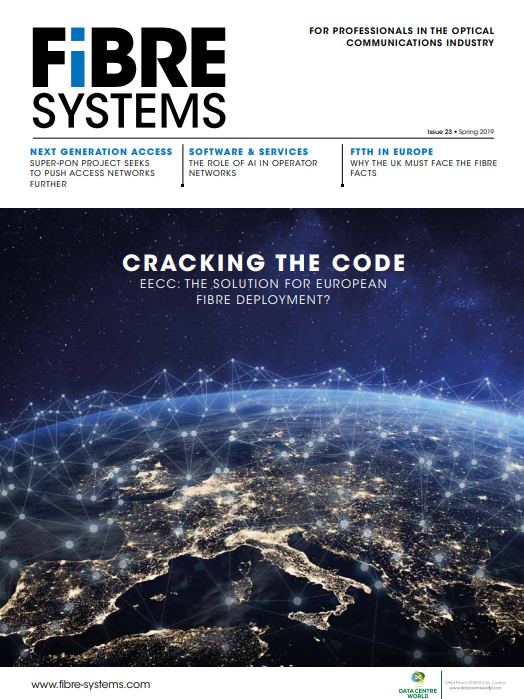 For data center infrastructure both new and old, system designers are moving quickly to implement 100G interconnects to better accommodate the deluge of east-west data center traffic driven by burgeoning user demand for online data and multimedia. Ovum projects the 100G equivalent data center intra-connect market to grow at an explosive 56% CAGR by 2021, and the ground is already being laid for the subsequent transition to 400G. The need for 100G connectivity in the data center has been crystal clear, but the pathway to mainstream 100G adoption was somewhat less so. Early implementations of 100G optical transceivers utilized the NRZ signal modulation scheme, which proved to be a viable solution. But as is the case with any major technology transition, system designers sought a clear industry standard that resolved any lingering ambiguities among competing approaches – an agreed-upon standard that they could coalesce around with confidence. The single-wavelength (lambda) PAM-4 modulation scheme has emerged as that standard. Adopted by the IEEE, PAM-4 has proved to be the most cost-effective, efficient enabler of 100G and 400G in the data center to date. For 100G transceivers, single-wavelength PAM-4 technology reduces the number of lasers to one and eliminates the need for optical multiplexing. For 400G implementations, only four optical assemblies are needed, representing a major opportunity for data center operators to reduce their CAPEX and OPEX with an extremely compact and energy efficient module. MACOM’s leadership in PAM-4 technology was reinforced at OFC 2017, where we debuted a complete PAM-4 technology chipset for 100G data rates over a single wavelength, enabling single fiber and four-lane parallel fiber connectivity for 100G, 200G and 400G Ethernet applications. This chipset features a new transimpedance amplifier (TIA), transmit and receive clock and data recovery (CDR) devices and linear electro-absorption modulated laser (EML) driver module. MACOM’s chipset addresses cloud data centers’ evolving power and bandwidth density needs by supporting single wavelength interconnects with EML lasers or silicon photonics, within the power envelope requirements of smaller form factor modules including QSFP, QSFP-DD and OSFP. By combining the requisite analog and photonic components required for OEMs to accelerate their transition to single lambda 100G and beyond, MACOM’s new PAM-4 chipset is well positioned to achieve volume deployment within intra-datacenter switching fabrics. MACOM has further extended our optical technology leadership by bringing together the benefits of PAM-4 100G single lambda technology with our silicon photonic integrated circuits (PICs) integrated with lasers (L-PICs). Through this initiative, we’re enabling the development of highly streamlined 400G transceivers that will quadruple the data throughput over existing fiber infrastructure. At OFC 2017, we demonstrated our ability to transmit 100G PAM-4 over a single lambda leveraging our L-PIC based CWDM4 chipset solution. The combination of these technologies delivers the requisite economics to drive the transition from 100G to 400G in the cloud data center. Skyrocketing data demand is putting ever increasing pressure on cloud data center operators to maximize their bandwidth density. With our investment in PAM-4 and continued innovation in complementary technologies like our L-PIC platform, MACOM is enabling these cloud data centers to cost-effectively satisfy bandwidth demands on an evolutionary path to 100G and 400G optical interconnects.